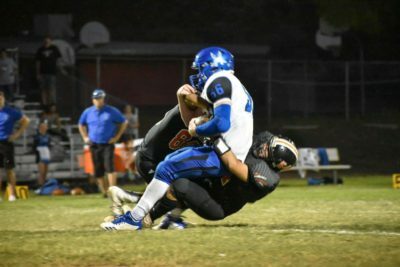 After a couple of lopsided victories on the road, the Superior football team finally played its home opener last Friday night against Bagdad, a team the Panthers could face again in their quest for a state championship. The sign of a good team is winning without playing its best, which precisely describes the Panthers’ 24 – 12 victory over the Sultans. Senior quarterback Steven Ybarra threw three more touchdown passes in the victory, all of them to senior receiver Cedric Mendoza, who caught four passes for 86 yards. Ybarra finished 9-of-17 for 170 yards and has now thrown nine touchdown passes on the season, three in each game. He also led the team with 90 of its 119 total yards rushing. 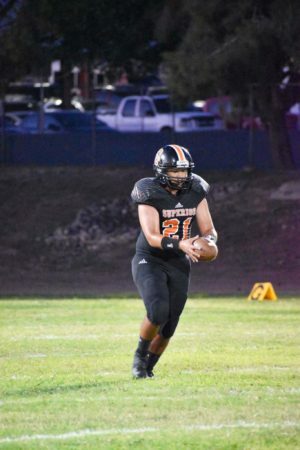 Defensively, the Panthers were led by Ybarra and Jesus Castellanos, who each had a team-high 14 tackles. Matthew Diaz-Gonzales and Mendoza added 10 tackles apiece while senior Raul Sanchez finished with nine. Ybarra (2), Mendoza (2) and Daniel McConnel (1) combined for five sacks. Castellanos recovered a fumble, the Panthers’ lone takeaway in the game. 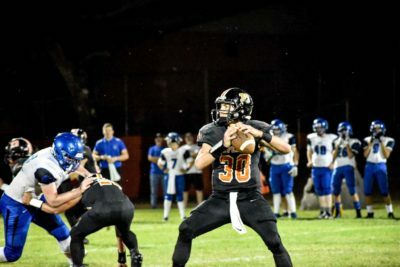 A game like last Friday’s is a good measuring stick at this point of the season and provides an opportunity to find out where the Panthers can improve going forward. “(We have) the potential to be great, but we are a long way from it,” Palmer said. “Our discipline and execution must improve. The ability to come from behind late in the game is a positive experience the Panthers can take from this game and perhaps reap the benefits when they needed it most – in the playoffs. Up next: The undefeated Panthers (3 – 0) host Arete Prep (2 – 0), which defeated Baboquivari last Friday, 85 – 60, and is averaging more than 78 points per game in two wins so far this season. Kickoff is scheduled for 7 p.m.